Eastman Kodak Company and Lexar Media, Inc. have introduced Kodak High Performance memory cards designed for digital camera owners who require high-speed processing for rapid-fire still shooting, high frame rate video capture, and fast computer transfer. Initially available in SD (Secure Digital) format, Kodak High Performance memory cards, offered by Lexar, are ideal for users of all SD format digital cameras with both still and video capture capabilities. Kodak High Performance flash memory cards will be initially available from Lexar in capacities of 512MB and 1GB this month. Larger capacity of the Kodak high performance memory cards cards will be available later this year. Kodak SD high performance flash card - "By offering SD High Performance cards, we're improving the overall experience for people who want to capture and store their memories with both still images and video," said Carolyn Walsh, Product Sales Director Digital, Eastman Kodak Company. "Recreational picture takers want to pick up their digital camera and instantly "freeze" a moment in time. By using a Kodak memory card that reduces the lag time between shots and optimises full-motion video capture capability on some cameras, our customers will be ready for anything that comes their way." 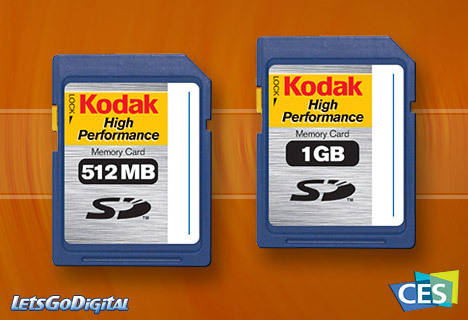 SD high performance cards - Flash memory - Kodak memory cards, including the new SD High Performance cards, help people have greater confidence that their treasured digital pictures and videos are stored safely with state-of-the-art technology. 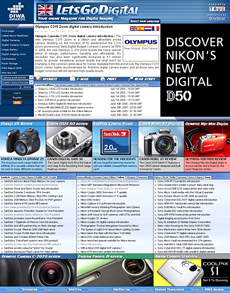 In addition, all Kodak flash memory cards are fully compatible with a lengthy list of consumer electronics devices such as digital cameras and PDAs, as well as tens of thousands of Kodak kiosks located at retail shops worldwide. Kodak and Lexar cooperation - Memory cards - "As part of a multi-year agreement announced in mid-2004, Lexar and Kodak are co-marketing a full range of memory cards," said Tessa Board, vice president and general manager, Kodak Business Unit, Lexar. "These Secure Digital memory cards offer dealers innovative, trustworthy, advanced flash memory products customers have traditionally come to expect from Kodak."